20% discount on One-to-one help updating your website throughout June. Improve your search rank, sell your products & improve the impact of your site online! 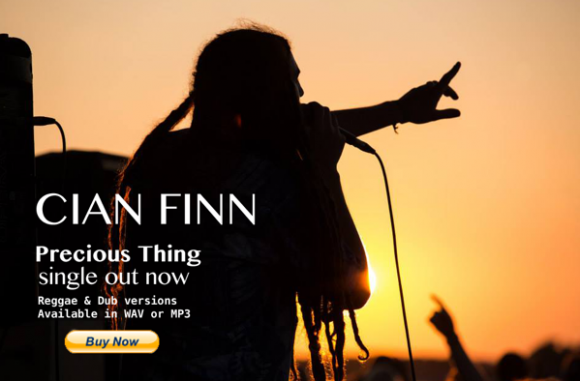 Get your site working for you! Your site might need a bit of an update, you might have a folder full of images and want to add them on your site as a gallery, carousel or slider, or you just want to refresh the style of your site without a major overhaul; drop me a line and we can work on it together, one-to-one, for a morning or afternoon. Only pay for the time we work on it together at a set hourly rate. The rate is usually €50 per hour, but I’m offering 3-hour sessions at a 20% discount for all of June. Contact me here to find out more, or set up a time that suits you! 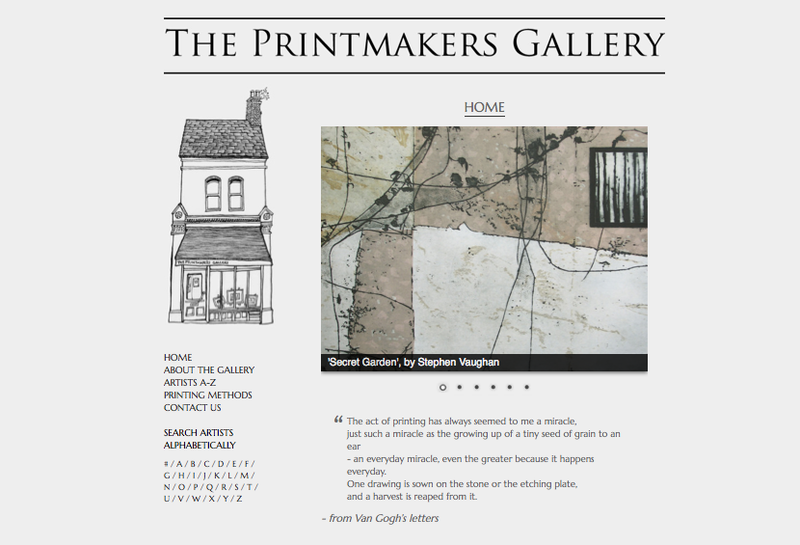 I recently designed a website for The Printmakers Gallery, on Drury St, Dublin. It’s a responsive website, built on WordPress. The menu slides off to the left and the content resizes when it detects a smaller screen, like on a tablet or smart phone. 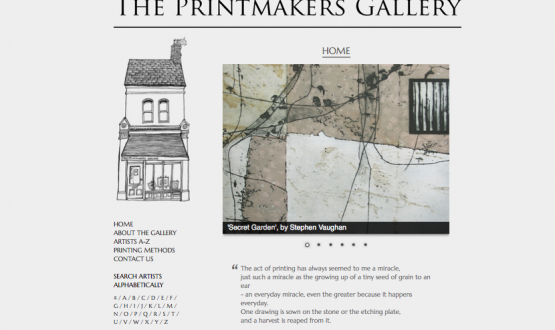 Check out the site here: The Printmakers Gallery. 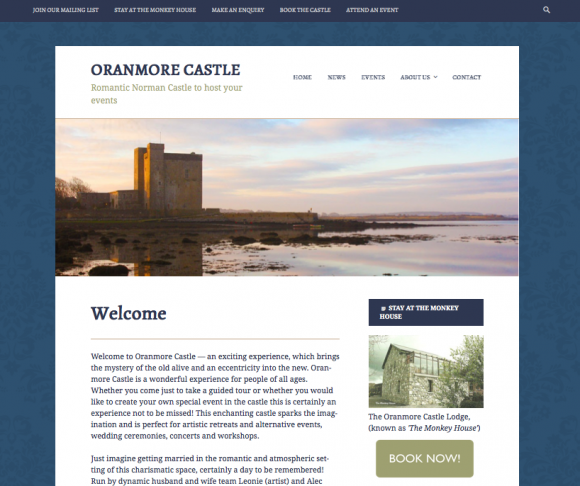 Oranmore Castle, in Oranmore, Co. Galway has benefited from a total redesign, to bring it up to date and in-line with the plans of its owners, artist Leonie King and musician, Alec Finn. Alec and Leonie are planning to make the Castle’s Great Hall available for events, to make it’s lodge (‘The Monkey House’) available for summer rentals. 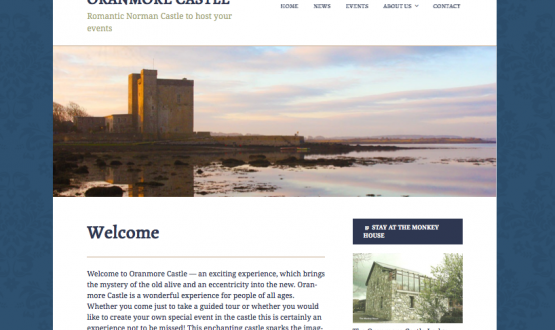 The castle can be visited for guided tours during the Summer months. I just completed a website redesign for Heather Finn Knitwear with a whole new shop / e-cart system and a whole new style. The refresh presents her new Autumn / Winter 2013 collection of beautiful cashmere and lambswool scarves, cardigans and accessories. Have a look at her site here! 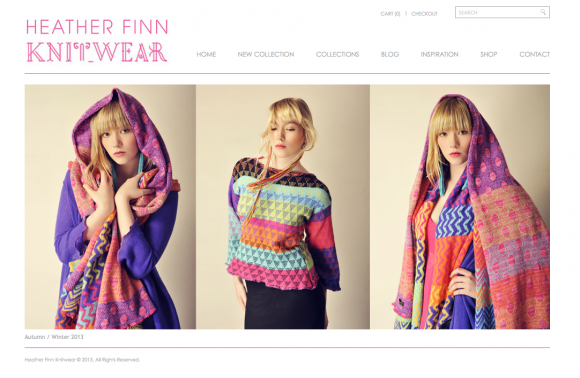 I recently produced a website for a new Irish product that has been doing very well in-stores and on-line. Canopi is a new product from Irish entrepreneur Sandra Walsh. 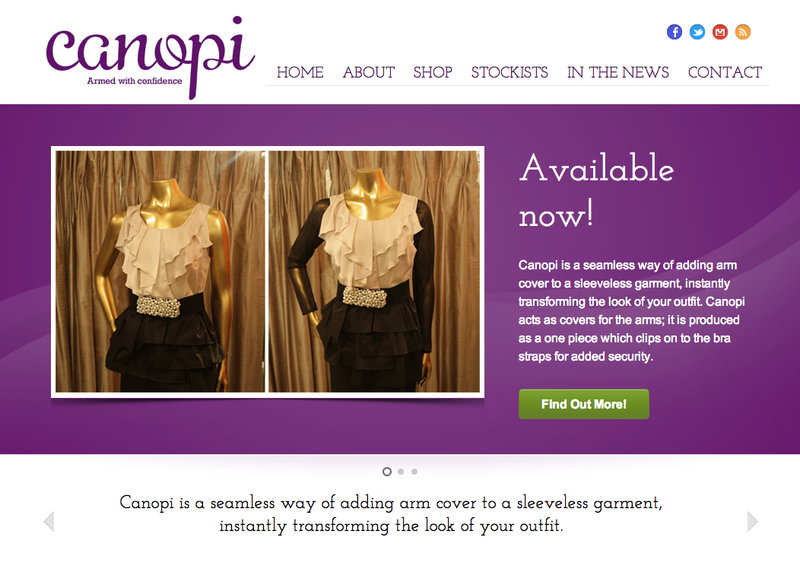 Canopi is a seamless way of adding arm cover to a sleeveless garment, instantly transforming the look of your outfit. It acts as covers for the arms; it is produced as a one piece which clips on to the bra straps for added security. The site includes an e-commerce shop that processes electronic payments, orders with size and colour variations, shipping options and international delivery. 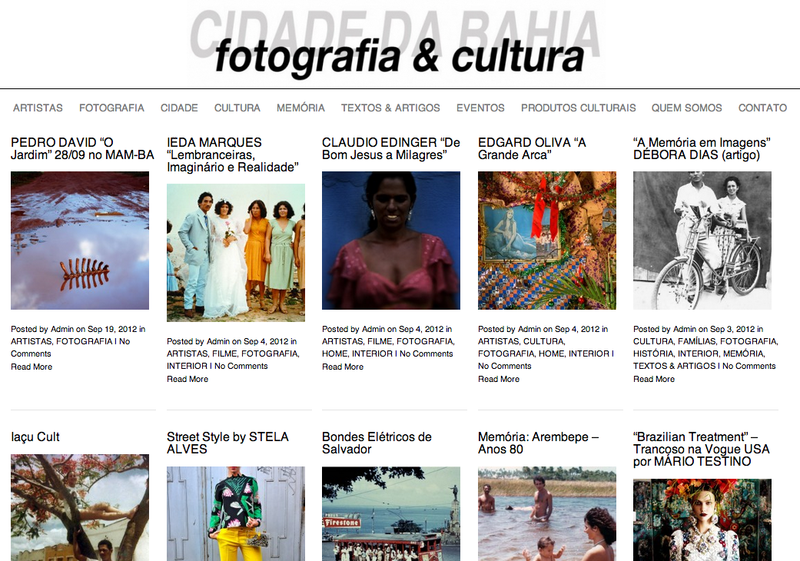 Brazilian artist and photographer Neyde Lantyer is launching her new Bahian photography and culture magazine website called ‘Fotografia E Cultura‘. It’s a beautiful mix of the visual cultural strands that make up the culture of Cidade Da Bahia, and it’s the latest site made by Artist-makers Online. Please check out Neyde’s new project here. I’ve just setup a site for Irish artist Maggie Madden. She was looking for something simple in the style of an indexhibit site, but I used WordPress to get the same effect. It gives her more room to grow, and if she gets tired of the indexhibit effect in the future she still has a solid content management system installed. Artist Maureen Burke availed of my One-to-one website deal recently. We spent a morning session together, she brought along a CD of her images and her biography and artist’s statement. Over 3 hours or so we registered her domain-name, set up hosting, installed a content management system, styled the site and uploaded her content. All before lunch! Get in touch about your site now! Recently a lot of the work I’ve done on websites has been done working one-to-one with clients sitting in on the process. They get to work with me step by step on the site build, directing their project closely, they get a flat hourly rate and the knowledge that the site is being worked on at a pace they feel comfortable with. There’s no delays, the site goes up as we work on it, problems are seen and sorted-out in real time. So I’ve been thinking this might appeal to more clients, I’m calling it ‘One-to-one website‘, a new web-design hand-holding service where you get exactly what you pay for. I can setup your domain-name, hosting account, design your site, upload your images and galleries and train you in your content management system so you update the site yourself. Additionally I can add the ability to sell your wares online (eCommerce), add Facebook and Twitter (Social Media integration) and help your site rank better in search engines (Search Engine Optimisation). Get in touch to discuss what we can do for our site in a one-to-one session! Artist-makers Online is a service for Irish creatives to improve their web-presence and to sell and promote their work. We offer web-design, courses and consultancy in all aspects of developing your profile online! Copyright © 2013 Artist-makers Online.